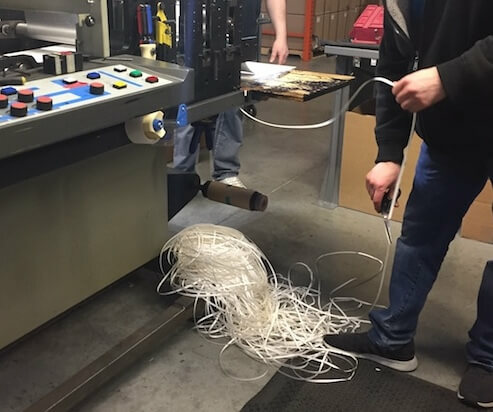 ID Label’s Environmental Commitment: Less Than One Percent Waste to Landfills | ID Label Inc.
By its very nature, the label manufacturing process can produce a fair amount of waste, from set-up material and edge trim to matrix and container waste. Unfortunately, it’s estimated that 85 percent of label industry waste is sent to landfills each year. As one of the nation’s leading manufacturers of custom barcode labels, ID Label has furthered its commitment to the environment. ID Label has teamed with Convergen Energy, a manufacturer of alternative fuels and power for sustainable business. ID Label produces more than 500 tons of waste each year. 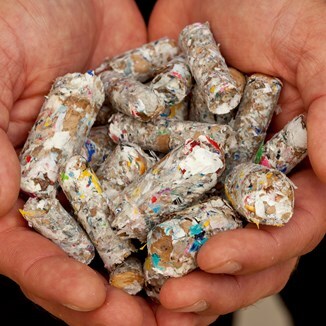 By working with Convergen, that waste is converted into alternative energy—fuel pellets—that can be used as a substitute for coal, gas and other fossil fuels. ID Label’s Lake Villa, Ill., manufacturing facility is also LEED certified by the Green Building Council. LEED (Leadership in Energy and Environmental Design) is a framework to create healthy, highly efficient and cost-saving green buildings. “LEED facilities like ours save energy, water and resources, they generate less waste and, ultimately, help support human health,” Johnston said.